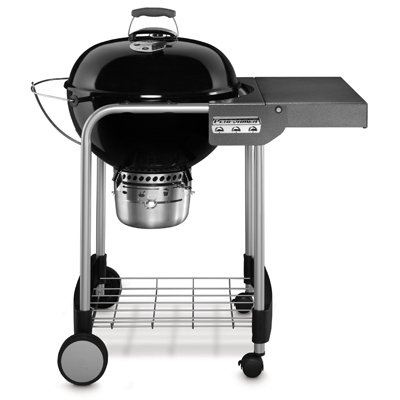 Exclusively from Weber, the grill grate system with removable center rack and hinged sides is included with the grill. 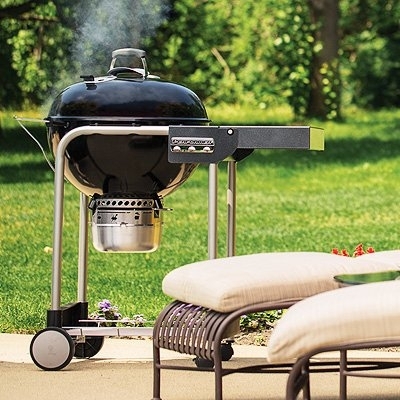 This Charcoal grill has a one-step cleaning system with removable ash catcher. Other features include Tuck-Away™ lid holder, built-in thermometer, removable charcoal bin and glass reinforced nylon handles. Heavy-duty tubular steel cart with silver finish has a large, granite-style thermoset work surface, lower wire storage shelf, and three hanging hooks for mitts and tools so your hands can be free while tending to the food.